Facial paralysis involves the loss of facial movement due to facial nerve damage. It can cause one or both sides of the face to droop or become weak. However, facial paralysis can often be improved, to some degree, by a facial nerve expert. The first stage of a facial paralysis treatment usually involves a consultation with a facial nerve surgeon. This meeting is essential for all parties involved, as it enables an individual and surgeon to analyze the cause of facial paralysis and explore treatment options. Dr. Babak Azizzadeh and The Facial Paralysis Institute’s team of physical therapists, otolyaryngologists and other facial plastic and reconstructive surgery experts will perform a series of tests to diagnose an individual’s facial paralysis. Ear, Nose and Throat Evaluation: Determines if there is an inner ear infection or head or neck tumor or malignancy. Hearing Test: Examines whether an individual has suffered hearing damage or inner ear problems. Tearing Test: Analyzes an individual’s tearing function. CT Scan: Evaluates the neck and temporal bone for any tumors or trauma. MRI: Assesses the internal auditory canal and brain for acoustic neuroma and other types of tumors. The Facial Paralysis Institute team will allocate the necessary time and resources to help patients complete extensive testing to provide the proper diagnosis. Plus, the team will offer full details about all tests before they are performed. 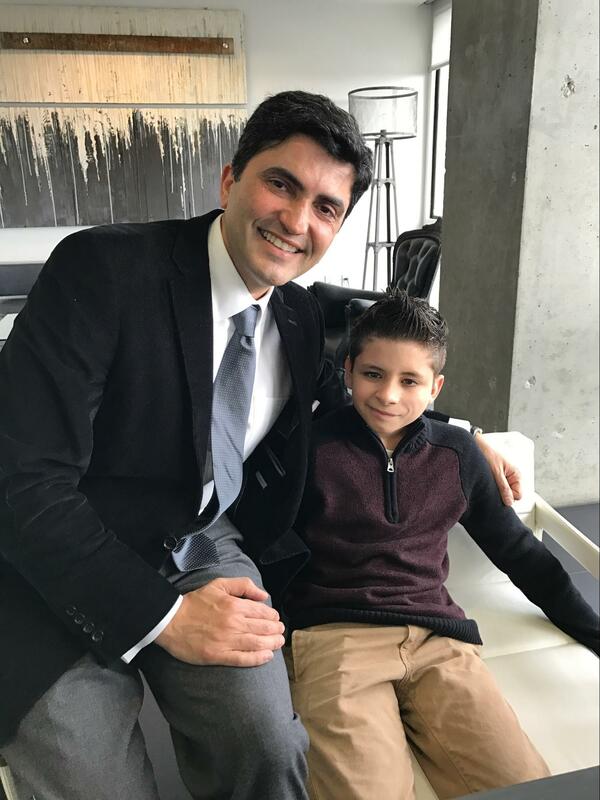 An initial consultation enables Dr. Azizzadeh and his team to learn about an individual’s facial paralysis symptoms, along with this person’s medical history and treatment goals. As such, an individual may receive many questions during the meeting. With a one-on-one discussion, Dr. Azizzadeh opens the lines of communication with an individual. Dr. Azizzadeh can obtain a wide range of insights into a patient’s background and use these insights to help determine the best treatment. After in-depth patient assessments are completed, Dr. Azizzadeh and his team will examine a variety of treatment options with a patient. No two facial paralysis patients are identical. Therefore, facial paralysis treatment options may vary from person to person. Botox: Commonly used in cosmetic treatments to reduce the signs of aging in the face, Botox has been shown to provide an effective treatment for individuals who are dealing with Bell’s palsy, partial facial paralysis, and synkinesis. Selective Neurolysis: A surgery pioneered by Dr. Azizzadeh, this treatment provides very positive results for patients with synkinesis by create more facial symmetry. Temporalis Transfer: During a temporalis transfer, Dr. Azizzadeh and his team will transfer the temporalis muscle from the scalp to the corner of the mouth to create more voluntary facial movements. An initial consultation provides an individual with the opportunity to ask questions about all of the treatment options that are available. By doing so, he or she may be better equipped than ever before to make an informed treatment decision. Finding the right facial paralysis treatment requires hard work and patience. With support from Dr. Azizzadeh and The Facial Paralysis Institute team, an individual may be able to reap the benefits of an effective treatment for years to come.